As a part of WIPA’s annual fundraising to help ‘SAVE WEDGE’ we have partnered with WA Cleanskin Cellars, providers of premium cleanskin wines. With summer and Christmas both around the corner what a better way to stock up on some of your favourite light refreshments – reds, whites, sparkling or tawny port and help us raise some much needed funds to support our cause. For every case of these fantastic wines that you purchase our friends at WA Cleanskin Cellars will kindly donate $25.00 to our campaign. 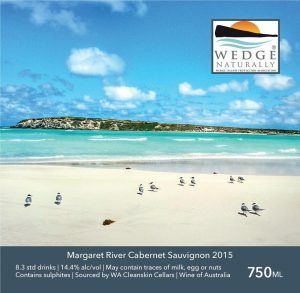 Each bottle features an exclusively designed wine label with a stunning image of Wedge Island and can also be purchased as mixed dozens. Delivered direct to your door anywhere in Australia. SHARE this to help us in our endeavours to preserve the largest remaining shack community in Australia. 2019 Wedge Island Calendars Available Now!